Like most red-blooded Americans, I’ve been a fan of the show Fixer Upper for a long time! 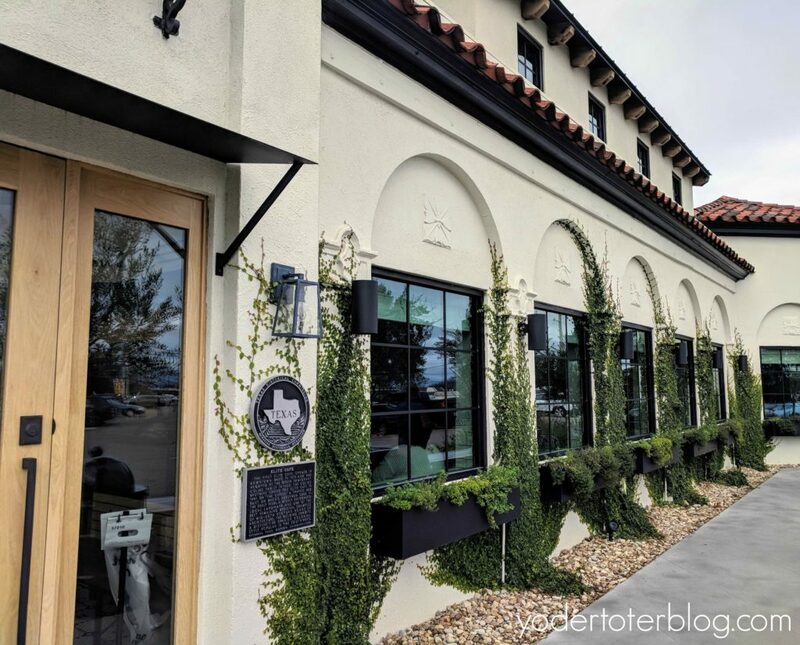 So when our friends moved to Fort Worth, Texas, a mere 90-minutes from Waco, it seemed like an easy way to combine two favorites in one trip! 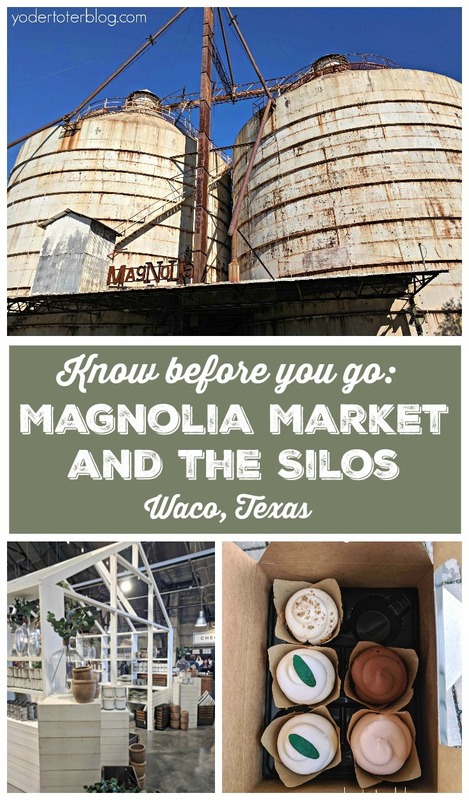 Visiting Magnolia Market and the Silos is a family-friendly affair! Here’s more about our time in Waco. The most well-known feature of Chip and Joanna’s empire is Magnolia Market at the Silos. Waco isn’t that big of a city, and the Silos are visible from most of the downtown. 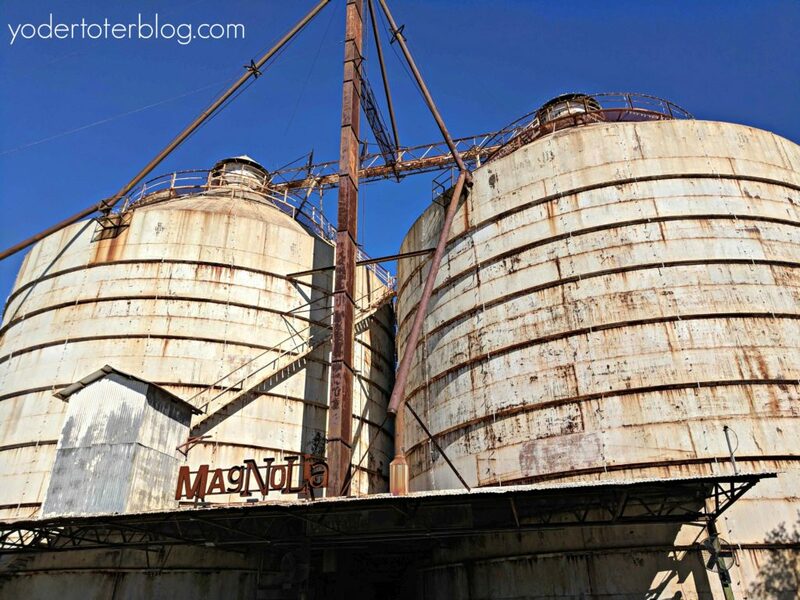 Their flagship store, Magnolia Market, is actually opposite the Silos. The store is not as big as I imagined, but it does contain quite a variety of home and personal goods. The store is stroller and wheelchair accessible. In the downstairs, you’ll find a section devoted to “Chip’s corner” with the famed #DEMODAY shirts and hats. I picked up a Waco t-shirt and a souvenir Silos Christmas ornament. 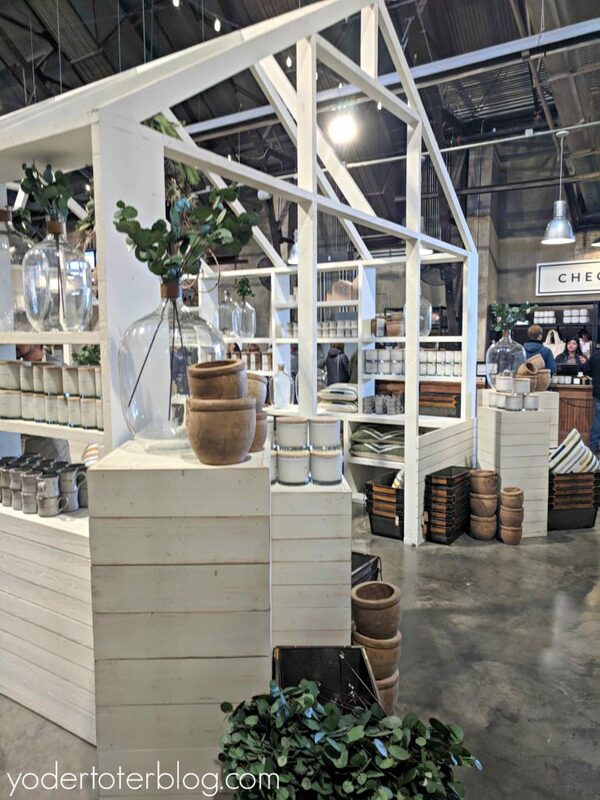 The most obvious feature of Magnolia Market is Joanna Gaines’ signature style and home decor. 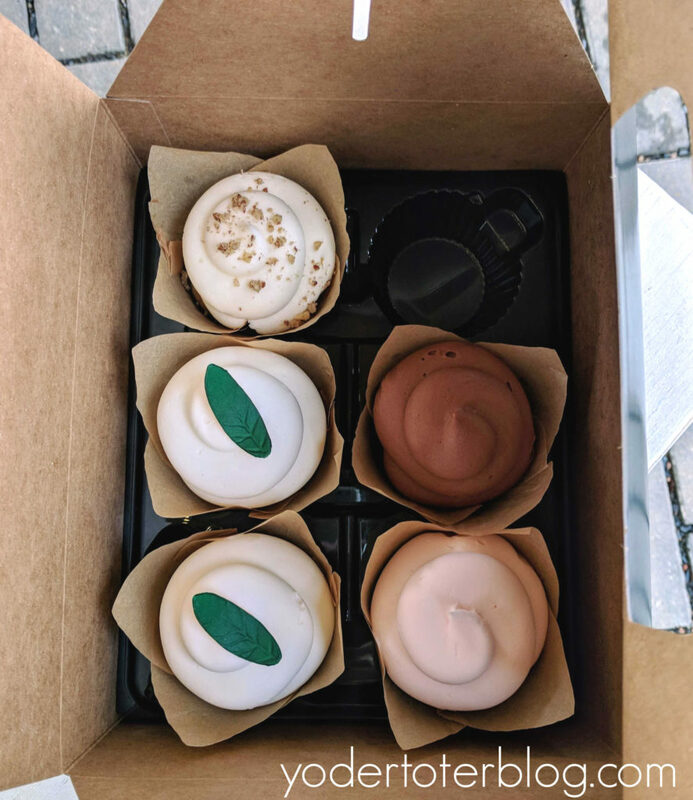 Where else can you get a vanilla-flavored cupcake named Shiplap? 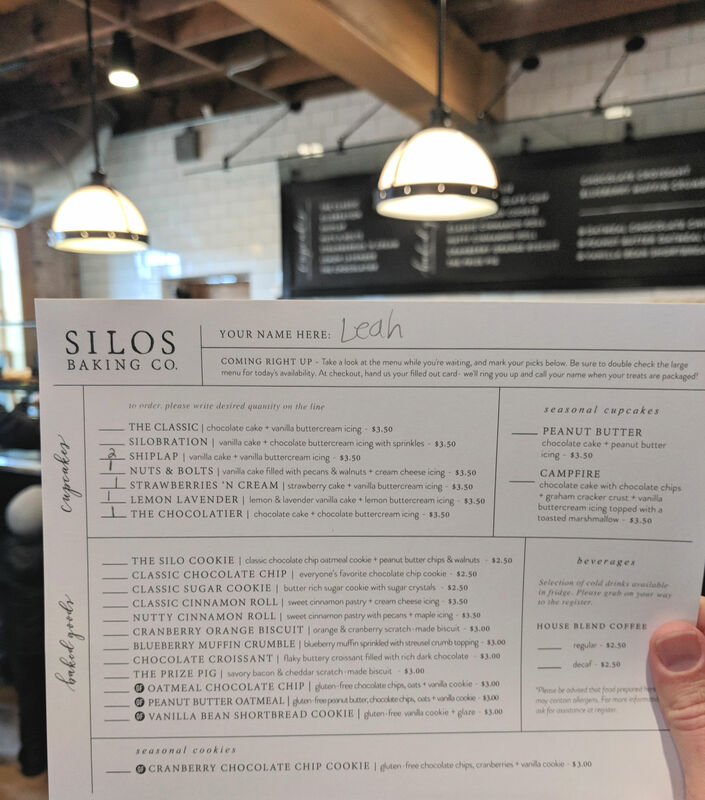 The Silos Baking Co is located right next to the Magnolia Market. Yes, the lines are known to wrap around the building, but even though we waited outside, the line moved at a rapid pace. An employee of the Baking Co. will hand you an order form as you enter the building. At the register, visitors submit this card to the clerk and pay for the sweet treats. The order is then filled and packaged. I have to say, Joanna’s cupcakes are the REAL deal. We tried the Shiplap, Strawberries N Cream, Nuts and Bolts, and Chocolatier and they were all very moist and delicious. Chocolatier was my favorite (chocolate cake with chocolate icing), but I was pleasantly surprised by the Strawberries N Cream. Sadly, the Lemon Lavender was sold out. 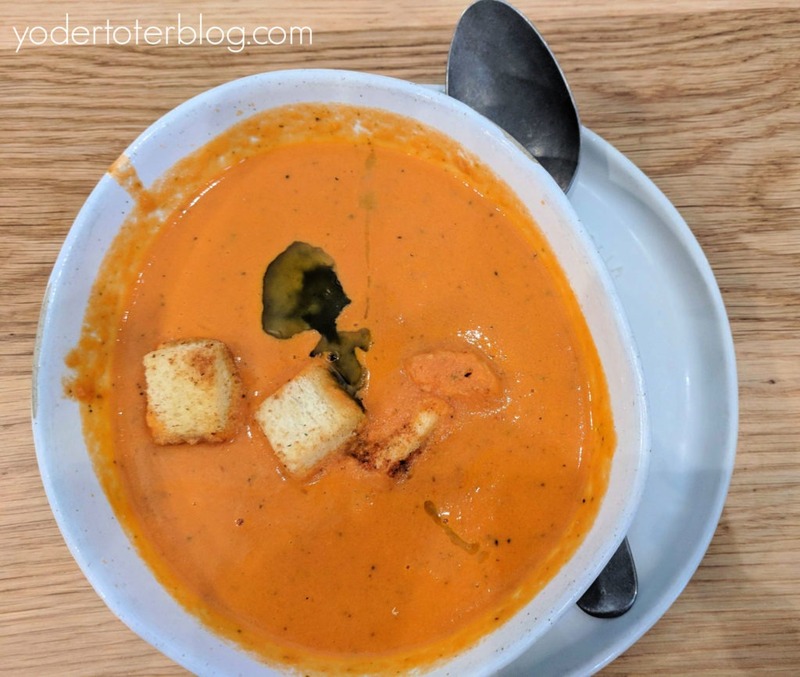 What I didn’t know before visiting Waco was that Chip and Joanna’s latest venture, Magnolia Table, is not located close to Magnolia Market. The restaurant is 2.5 miles from the Market, meaning you’ll need your car to get to the restaurant. The restaurant is open Monday-Saturday from 6:00 am – 3:00 pm. Wait times can be significant. If you arrive at the restaurant and there is a wait, the staff will text you and let you know when your table is available. Our party arrived at noon and was told that it would be a two-hour wait! They suggested we come back to the restaurant within 90-minutes because they only give you so much time once you receive your text! Luckily, we arrived back at the restaurant around 1:20 and were seated shortly after! I was pleasantly surprised to see that the menu items weren’t price gouged! However, the kids’ meals were a little pricey, at $8 each, but this included a drink and a small box of cookies. I tried the Tomato Basil Soup (the recipe is in Joanna’s cookbook ) and the seasonal Apple Pear Salad. Both were delicious! 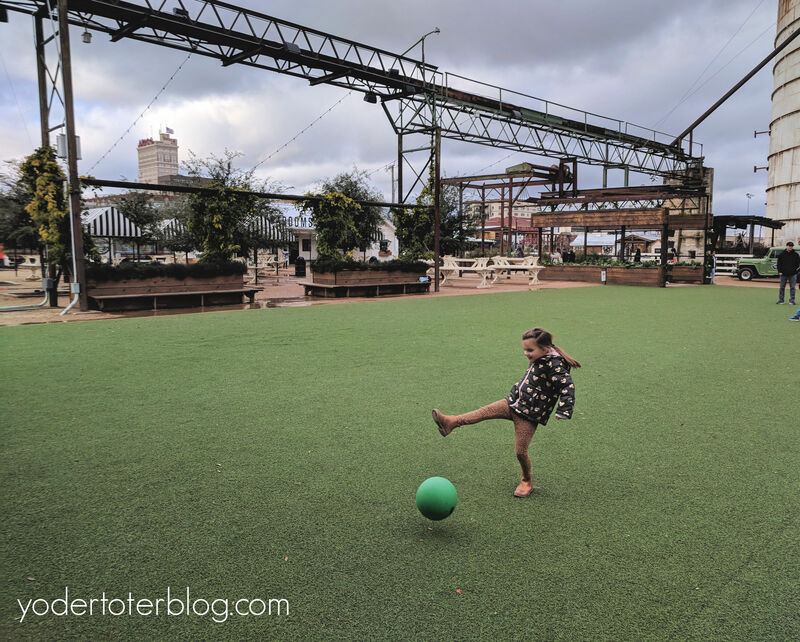 Magnolia Market is plenty of fun for children, too! The courtyard lawn has kickballs and corn hole games for kids of all ages to enjoy! Between playing with new friends- and a cupcake haul- there wasn’t a lot for the kids to complain about! Food trucks are also scattered throughout the Silos lawn. 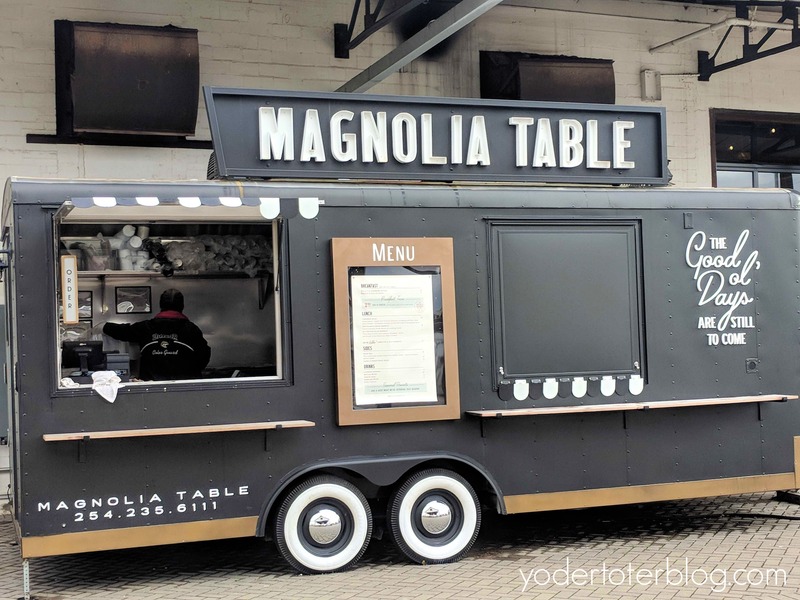 If you don’t make it to Magnolia Table Restaurant, a Magnolia Table food truck allows you to try a few of the staples. There is a free Silos District Trolley that shuttles guests throughout Waco. Because we visited during the offseason, we were able to find parking less than 2 blocks away from Magnolia Market and did not utilize the shuttle. We left Waco inspired by Chip & Joanna’s Magnolia brand. 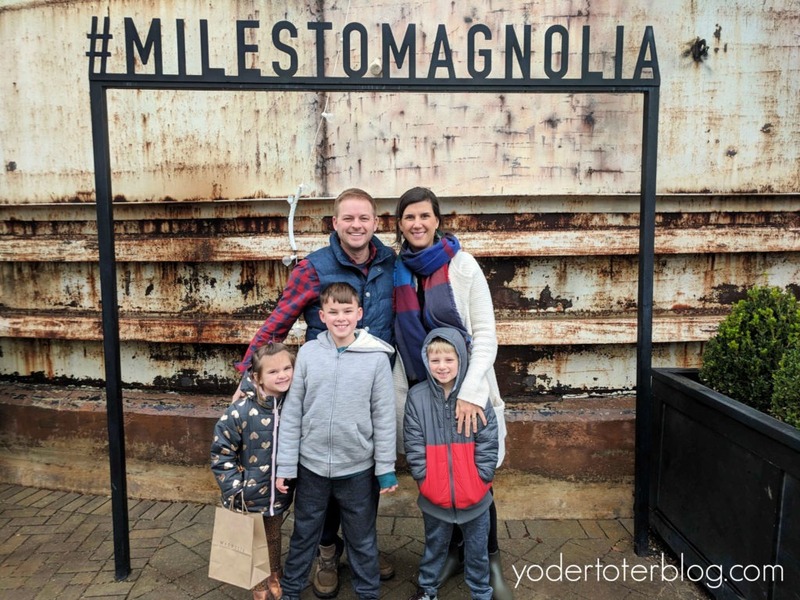 While their house transformations have been astounding, their home decor is trendy, and their cupcakes and lunch menu are so yummy; ultimately we went to Waco because we just really Chip and Jo (even if they don’t know that we exist, LOL). I think most couples watched Fixer Upper and saw a little bit of themselves in the famous couple. As a family that aspires to be entrepreneurs (ahem, this blog is a bit of that), we left thinking about how we could best use our passions to build something of our own. I hope that you, too, get to visit and leave with your heart motivated! But be warned, you’ll also leave with your wallet emptier. Haha. I joked that I love Chip & Jo so much, I didn’t even care that I made them richer! Haha! We stayed at the Springhill Suites by Marriott in Woodway, Texas. This hotel is a 10-minute drive from downtown Waco. We enjoyed the family-sized suite and free buffet breakfast. The hotel also has an indoor pool, perfect for those visiting in the cooler months. Click HERE to see current rates. Are you planning to visit Waco, Texas? What part of the Magnolia brand do you most want to see?